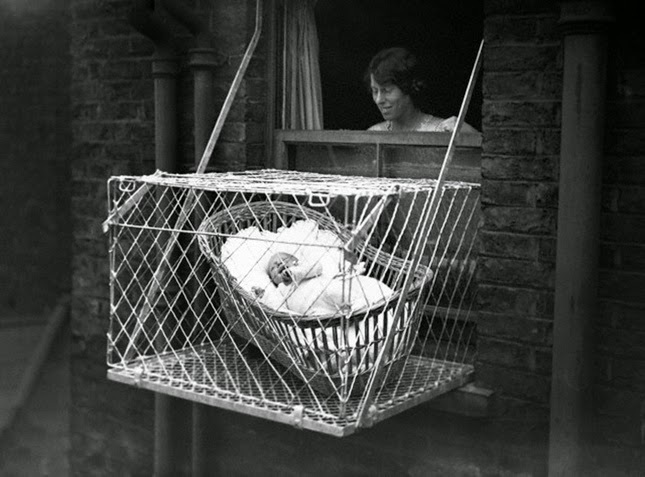 In the early 1920’s, Emma Reed of Spokane Washington patented the Portable Baby Cage. 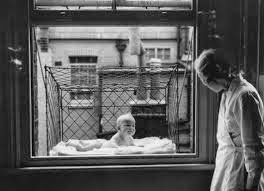 Not being particularly bomb proof, Baby Cages were used in London until the Blitz. 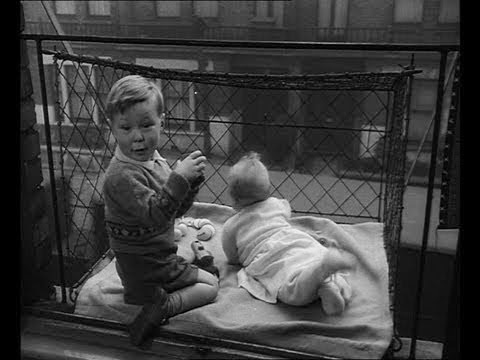 Then kids were shipped to the country to live with strangers. 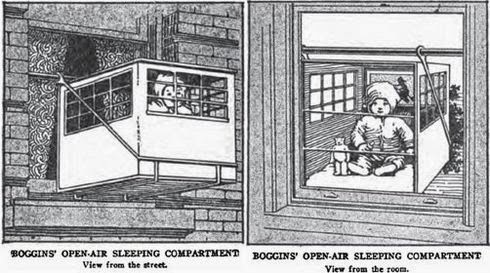 Also, based on the advert below, fresh air wasn’t particularly fresh and the kids may have been better off inside. 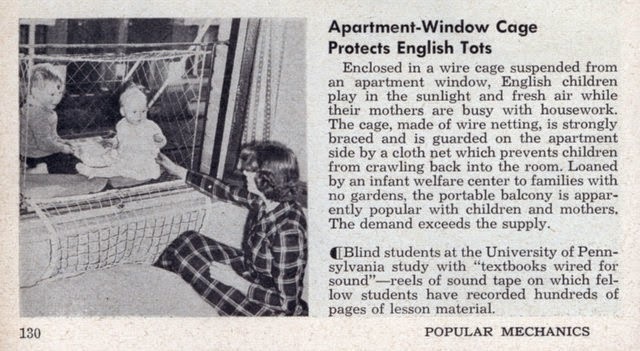 In America, the Baby Cage never really caught on, which is just as well. 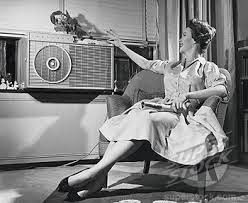 This left windows open for attractive air conditioning units. In addition, the floor of the standard cage was mesh, leaving room for um . . . “over spills” to plop on pedestrians. However, I think Mrs. Reed would have been more successful with a bit of market research. 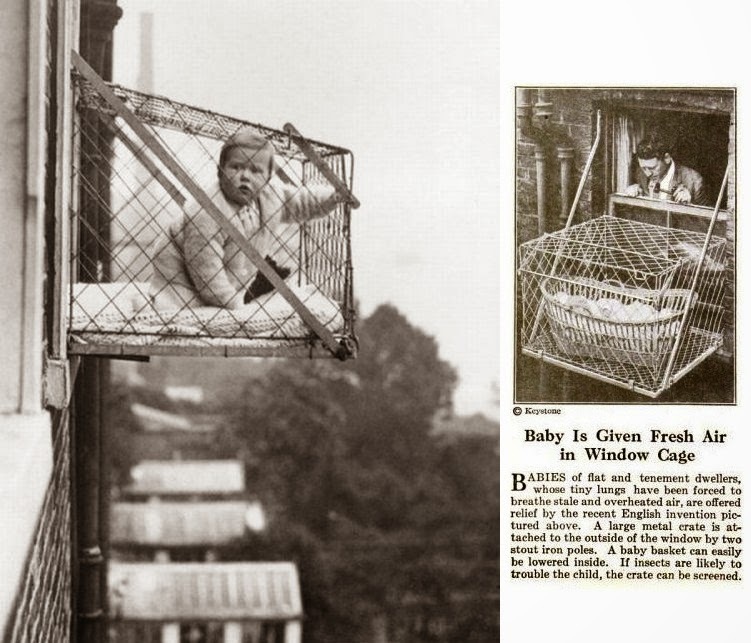 Who wants a Baby Cage, portable or not? Call it a Fresh Air Delivery System, hire a celeb mommy spokesperson and every mom would have been clamoring for one.